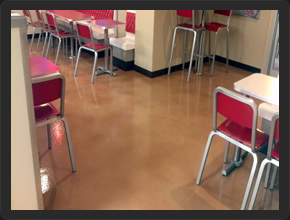 Using decorative concrete meets all restaurant floor expectations, plus it can be designed to fit any budget. Often already existing as the sub-base of the restaurant, concrete is extremely durable. 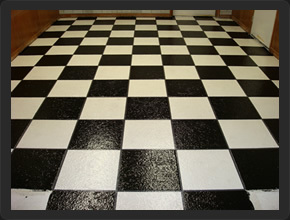 With the right application of a sealer, it requires little maintenance, and is very easy to keep clean. It can also provide slip-resistance with additives or creative texturing. 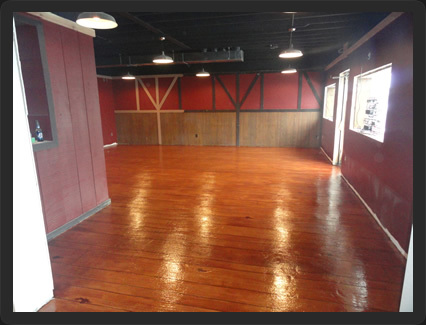 Getting a custom Decorative Concrete look to a restaurant floor is the biggest factor. There are a multitude of decorative possibilities available, ranging from solid and multiple colors, to blends, patterns, graphic inlays, and a host of other options. 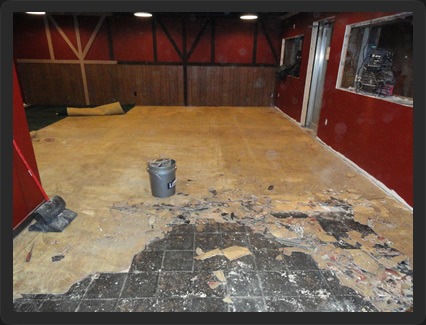 Feel free to peruse our website at your leisure; check out our photos, get some ideas… then call Dukes Surface Solutions for your free estimate today.